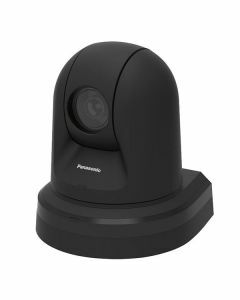 Panasonic’s AW-HE40SKEJ PTZ is a full HD camera with integrated pan-tilt for lectures, weddings and a large array of other applications. The AW-HE40 series of integrated full HD cameras deploys in a plethora of onsite shooting applications necessitating high-quality video like conferences, lecture capture and other events, thanks to its high-performance zoom, wide angle of view and outstanding colour reproducibility. The AW-HE40SKEJ PTZ also delivers versatility by not needing any particular installation location because of its IP transmission and support for PoE+ (Power over Ethernet Plus), which means that power can be supplied via a LAN cable.